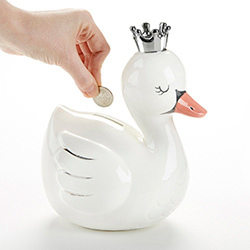 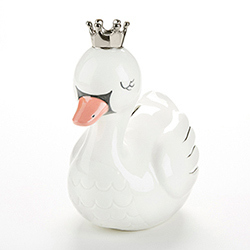 Give the gift of a strong financial foundation with the Swan Princess Porcelain Coin Bank. 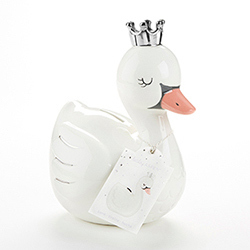 This functional piggy bank can also serve as a pretty nursery decoration. 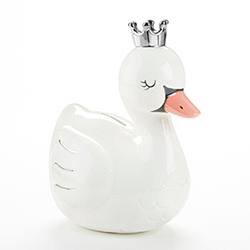 It's the perfect elegant gift for your next baby shower!